Ukraine’s Ministry of Defense reported at 12:30 PM Kyiv time that on March 4 one service member of the Ukrainian Armed Forces was killed in action. In the last 24 hours, Russian-terrorist forces opened fire nine times on Ukrainian positions in the Luhansk and Donetsk sectors. In 10 cases the enemy used heavy weapons. 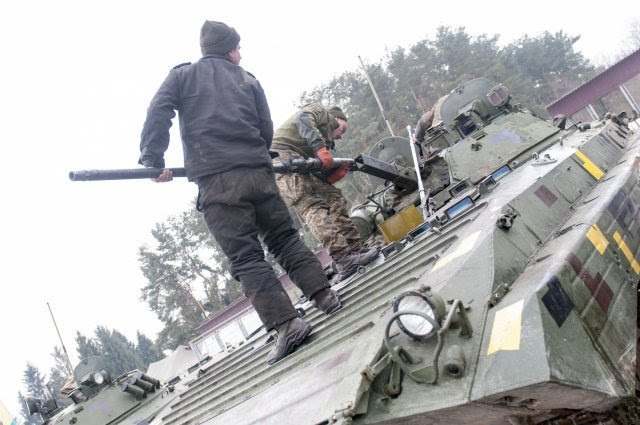 According to military intelligence, four invaders were killed and one was wounded, as a result of returning fire by the Ukrainian Armed Forces on February 28. Yesterday, was the first time this year when Russian tanks attacked Ukrainian positions in Donbas, eastern Ukraine. Svitlana Dryuk, 40, who until recently served as a tank commander fighting against Ukrainian Armed Forces in the eastern part of the country, defected to Ukraine and said she handed Kyiv the details of Russia’s battle plans for a “full-scale invasion” of Ukraine. Reportedly, she fell in love with Ukrainian spy and fed him information leading to the destruction of eight modern Russian T-72 tanks. The story has a twist as she was an inspiration for one of the main characters of the Russian propaganda film depicting a paramedic who moved up the ranks becoming a tank commander leading an all-female tank unit. The film was supposed to be aired on May 9 [WWII Victory Day in Russia] this year. Svitlana revealed that the Russian authorities have been issuing special IDs for all Russian soldiers who entered Ukraine providing a false proof that these people were residents of Luhansk and Donetsk regions according to international law. Facebook has issued a statement claiming that it would not allow foreign-funded advertisements for upcoming presidential elections in Ukraine. The decision was made to alleviate concerns that the platform was used to manipulate the voters. The company said it had also prohibited foreign-funded advertisements for Indonesia and Nigeria’s elections, according to The Washington Post. 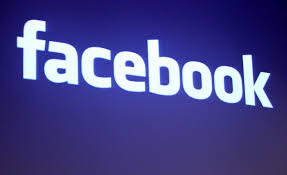 The social media giant has been under investigation for improper handling of private user data and has been accused for not doing enough to stop misuse of their platforms by the manipulative parties. The Permanent Court of Arbitration in The Hague ruled in favor of NJSC Naftogaz of Ukraine and six of its subsidiaries, concluding that the Russian Federation was liable for the unlawful seizure of Naftogaz assets in Crimea under the bilateral investment treaty between Ukraine and Russia. Ukrainian Naftogaz owned some of the most valuable energy assets in Crimea which became the top targets when Russia invaded and occupied Crimea in 2014. Later, The Hague tribunal will launch a second phase of the proceedings to determine the amount of compensation Russia owes to Naftogaz. Naftogaz experts have estimated the value of Naftogaz’s stolen assets at $5 billion. Naftogaz filed for arbitration against the Russian Federation in October 2016 pursuant to the Agreement between the Government of the Russian Federation and the Cabinet of Ministers of Ukraine on the Encouragement and Mutual Protection of Investments, more commonly known as the Russia-Ukraine bilateral investment treaty, or BIT. A hearing on matters of jurisdiction and liability was held at the Permanent Court of Arbitration in The Hague in May 2018. 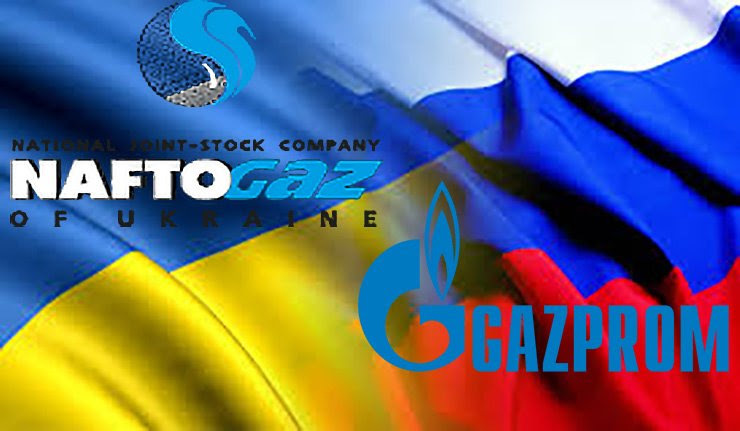 The six Naftogaz subsidiaries are National Joint Stock Company “Chornomornaftogaz,” JSC Ukrtransgaz, Likvo LLC, JSC Ukrgasvydobuvannya, JSC Ukrtransnafta, and Subsidiary Company Gaz Ukraiiny. Ukraine is preparing for the contingency that Russia stops transiting natural gas to Europe through Ukrainian gas pipeline in 2020, as reported by Naftogaz. Such scenario may become a reality as soon as Russia’s 55 billion cubic meters per year (Bcm/year) Nord Stream II gas pipeline to Germany comes online in the end of 2019. In view of the current disputes between Ukraine’s Naftogaz and Russia’s Gazprom as well as the war between the two neighbouring countries Gazprom may cover peak consumption in winter months with gas stored in European facilities, rather than by flowing small volumes via Ukraine. Russia plans to bring Nord Stream II online by the end of the year, when its current transit contract with Ukraine expires. Notably, Ukraine handled 87 Bcm/year of Russia’s gas transit to Europe in 2018. The EC however wants to keep the Ukrainian transit route viable, as part of wider EU efforts to support Ukraine as it moves to integrate into the European energy market.